…but I’m about to make some Christmas gifts. Oh, dear. I’ve decided to make some Irish Hiking Sets–scarf and hats. I decided to use some Lion Brand WoolEase so that they can be washed no problems. I know, I know, I can hear all you yarn snobs. But this stuff does have it’s place in knitting life. It does. Very cute! 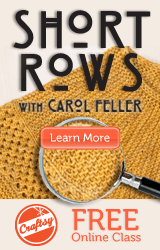 I can’t believe you’re knitting Christmas gifts. I need to stay strong and NOT DO IT.